Cryo plumes are atmospheric effects that give the impression of white dense clouds or a thick fog. This effect is created by the reaction of liquid carbon dioxide with air moisture. The result is a thick white fog that surrounds the immediate area. Cryo CO2 Jet system effects are quite dramatic but totally safe. A Cryo jet blaster or cryo bazooka can appear to be dangerous but these are actually quite simple delivery systems. A CO2 jet blaster is a self-contained system that shoots out condensed “Cryo” 7 TO 10 meters into the air. This is used to produce instant cloud effects that commonly seen in movies or concerts. 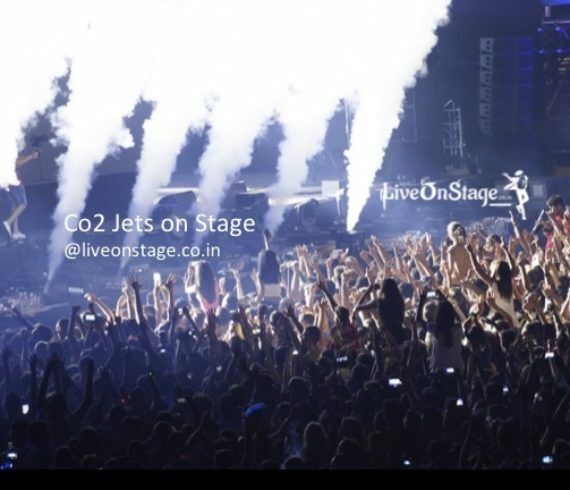 It creates spectacular entry’s for performing artists, product launches. Live concerts and stadium events. It can also be used for Club party’s.